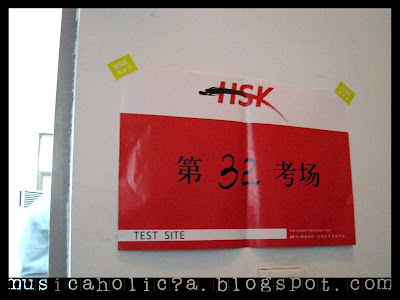 I had my HSK (汉语水平考试 – Hanyu Shuping Kaoshi) test today. For those who don’t know, it’s some kind like TOEFL for Chinese language. The test was held in BLCU (北京语言大学). All I can say is…the listening part is the most difficult!Although the voice is much clearer than the usual listening class at school, but there are a lot of new words we do not know. Not only us, the 初级班 students who said they are difficult, even the 中级班 students also find them difficult. Those who have taken the test on May this year said this one is more difficult than that. The result will be out in a month’s time.